While great effort is made to ensure the accuracy of the information on this site, errors do occur so please verify information with a customer service rep. This is easily done by calling us at (980) 224-4657 or by visiting us at the dealership. Manufacturer’s Suggested Retail Price. Excludes options; taxes; title; registration; delivery, processing and handling fee; dealer charges including $699 dealer doc fee. Dealer sets actual selling price. 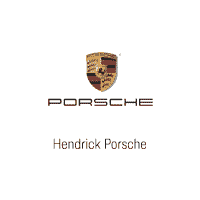 Hendrick Porsche of Charlotte, North Carolina, is now offering its passionate clients a next-generation buying and service experience at its new, fully interactive dealership located at 6800 E Independence Blvd. An expanded showroom, world-class service center and an extended parking area make this facility a true destination for Charlotte-area enthusiasts.